Amanjaya is Ipoh’s main bus terminal after closure of Medan Gopeng Bus Terminal in Apr 2013. It is an Integrated Bus Terminal and Complex Bandar Meru Raya (Amanjaya Terminal) in Jelapang, north of Ipoh. Amanjaya Bus Terminal at Jelapang is 16km away from Ipoh city centre. The best way to get to Amanjaya Bus Terminal is by intercity bus or taxi. Amanjaya Bus Terminal serves the inbound routes from most cities in Malaysia and outbound routes to most places in Malaysia. 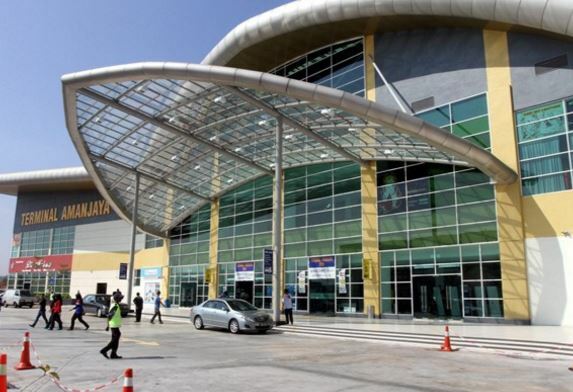 The most popular routes in Amanjaya Bus Terminal are Ipoh to Kuala Lumpur, Ipoh to LCCT, Ipoh to KLIA, Ipoh to Cameron Highland and Ipoh to Penang.